John Maynard Keynes (1883-1946) is perhaps the foremost economic thinker of the twentieth century. On economic theory, he ranks with Adam Smith and Karl Marx; and his impact on how economics was practiced, from the Great Depression to the 1970s, was unmatched. The General Theory of Employment, Interest and Money was first published in 1936. But its ideas had been forming for decades as a student at Cambridge, Keynes had written to a friend of his love for 'Free Trade and free thought'. 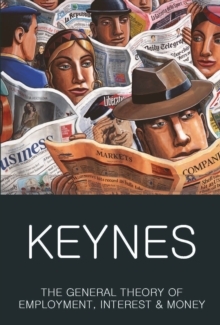 Keynes's limpid style, concise prose, and vivid descriptions have helped to keep his ideas alive - as have the novelty and clarity, at times even the ambiguity, of his macroeconomic vision. He was troubled, above all, by high unemployment rates and large disparities in wealth and income. Only by curbing both, he thought, could individualism, `the most powerful instrument to better the future', be safeguarded. The twenty-first century may yet prove him right. In The Economic Consequences of the Peace (1919), Keynes elegantly and acutely exposes the folly of imposing austerity on a defeated and struggling nation.